Official Viwawa Blog: 100 Followers! 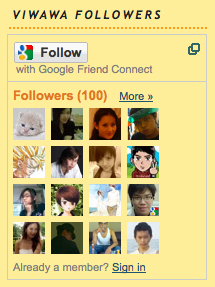 Our Viwawa Blog now has 100 followers! We would like to take this opportunity to thank all our Viwawa blog readers for this milestone. wa,i hope admin giv me cash 1st.than i use 2 buy fire tablet!!! than i win the competition! !